On November 2, Bassett High School dedicated a newly renovated special education center in honor of Linda Davis, a 30-year educator praised for championing the needs of special education students and helping them reach their full potential. 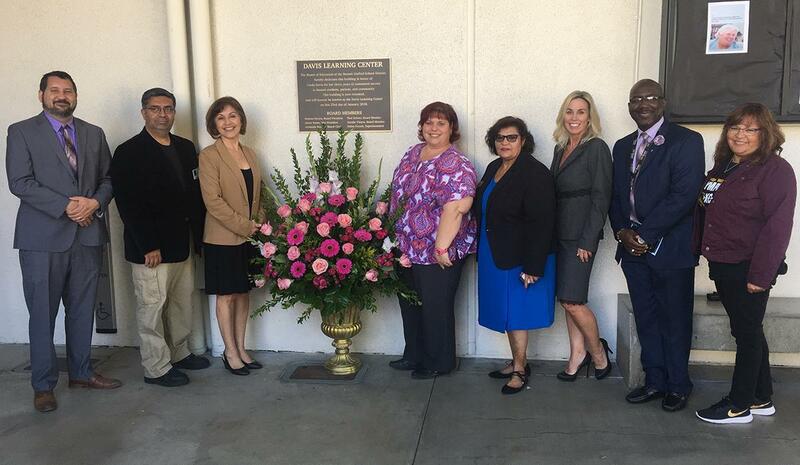 Bassett Unified marked the Davis Learning Ceremony dedication ceremony by bringing together District staff, board members, former special education students and representatives of local, state, county and federal officials. The center is home to the District’s Adult Transition program, which provides special education students with lessons on daily living skills, socialization and career exploration. 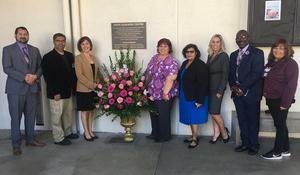 The center also features a plaque commemorating Davis, who died in 2007, on her 30 years of helping Bassett Unified’s special needs students transition into college, vocational schools and the work force. 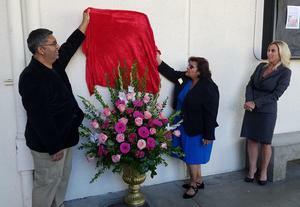 During her time at Bassett High School, Davis was a department head, transition specialist and workability director. Board of Education President Dolores Rivera remembered Davis as a unwavering educator, who would give department direction even when she was hospital bound. “Linda Davis did everything that we, at the board and at the District, have promised to give our children – which is the best education for our young adults and students in special education so that they can be out earning a living just like any of us,” Rivera said. count money and the days of the week. Learning Center – newly renovated to accommodate learners with special needs on Nov. 2.
honor of former educator Linda Davis.